Home>Music> Police Believe Nipsey Hussle's Murder Was "Gang Related"
Update: According to an updated report from Complex (3:15 PM, Eastern) a source has provided a few details to New York Daily News. 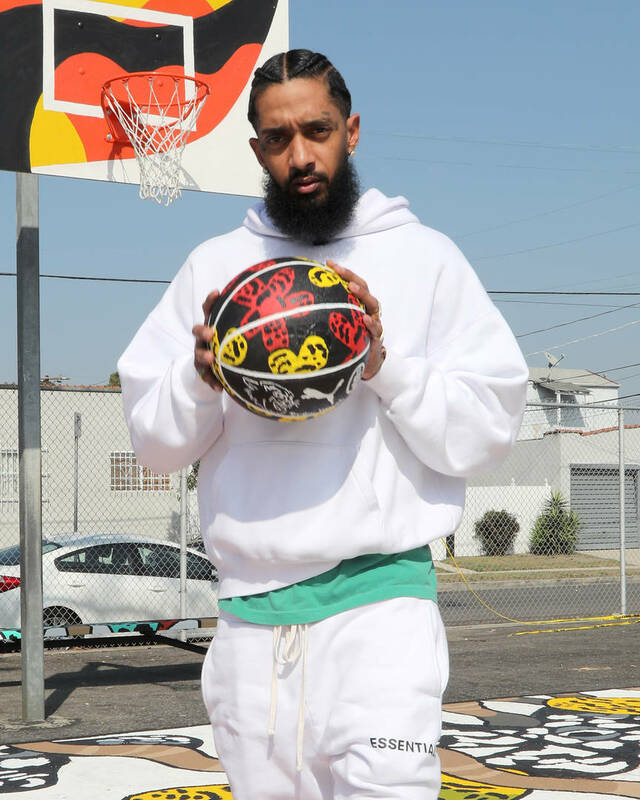 The source claims that the suspect apparently knew Nipsey on a personal level, and while original reports indicated the case was thought to be "gang-related," it may not be so cut and dry. The report alleges that Hussle's murder did not stem from Nipsey's prior ties, but with an unspecified "deal gone wrong." The report also claims that LAPD have the suspect "in sights," but not in custody as of yet. LAPD officials have begun seeking the man responsible for last night's fatal shooting of Nipsey Hussle, which transpired at the rapper's Marathon clothing store on Slauson and Crenshaw. Though the killer's identity remains unknown, further details are beginning to emerge about the incident, and the investigative direction police appear to be taking. According to a report the Los Angeles Times, Hussle was shot at close range by a man who proceeded to flee into a getaway car. Citing one of their sources, it would appear that police are operating as if the shooting was gang-related. The source claims that the shooter is likely tied to an unidentified gang, though further details about his appearance (other than the fact he's a young black male) or any specific gang affiliation have yet to be made public. The report suggests that police have been interviewing witnesses and scouring security footage, but details continue to remain elusive. As for the suspect's means of arrival, Los Angeles Police Lt. Chris Ramirez seems to have more questions than answers. “At this point, we’re not even sure as to whether he walked up, rode a bicycle or drove up in a car,” he says, to the Times. We can only hope that further light is shed on Nipsey's murder, and those responsible can be brought to justice accordingly. Rest in peace, Nipsey Hussle. Music News Nipsey Hussle nipsey hussle death Rollin 60s crips Gang Related police l.a.p.d. MUSIC Police Believe Nipsey Hussle's Murder Was "Gang Related"